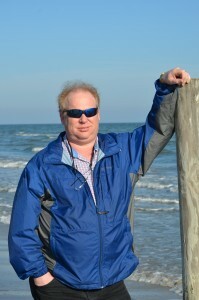 Kris on the beach at Galveston, the scene of his Texas League History book, The Galveston Buccaneers: Shearn Moody and the 1934 Texas League Championship. In one form or another, Kris Rutherford has been writing professionally for over 25 years. Whether its government reports, a grant proposal, a professional journal article, non-fiction sports history, or youth sports fiction, Kris completes extensive research into his subjects to offer the reader the accurate information or a motivational story with a clear message. A native Texan, raised in Texas and Maine, and now splitting time between Texas and Arkansas, Kris has been researching early Texas League Baseball for a decade and is a regular contributor to the Texas League Newsletter on MiLB.com. He has also written two Texas League history books, with another due out in late summer, 2015. Likewise, he has appeared at numerous conferences and workshops across Texas promoting his interest in the beginnings of baseball in the Lone Star State. 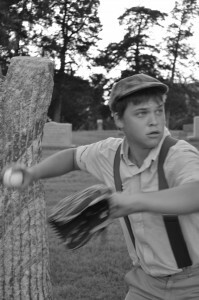 You never know what old ballplayer you might run into in a cemetery. Kris' interest in baseball also led him to publish the middle-grade novel "Batting Ninth" (Enslow Publishers), and he has teamed up with the Future Fisherman Foundation (F3) to publish a series of middle-grade fiction books focusing on the F3 mission to promote sport fishing among America's youth as an alternative to alcohol, drugs, and other less desirable activities. Kris holds a Bachelor of Science in Recreation Administration from Arkansas Tech University and a Master of Agriculture from Colorado State University. He has over 30 years of professional experience in youth sports, outdoor recreation planning, and environmental education administration. Kris is a member of the Society for American Baseball Research, the Internet Baseball Writers Association of America (IPWAA), the Baseball Bloggers Alliance, and serves as historical correspondent for the Texas League Newsletter. He is a Certified Parks and Recreation Professional and currently lives in Maumelle, Arkansas, with his wife, Karen, and works full-time as a grant writer. He and Karen also own, edit, and publish The Roxton Progress, a small-town newspaper in Northeast Texas. 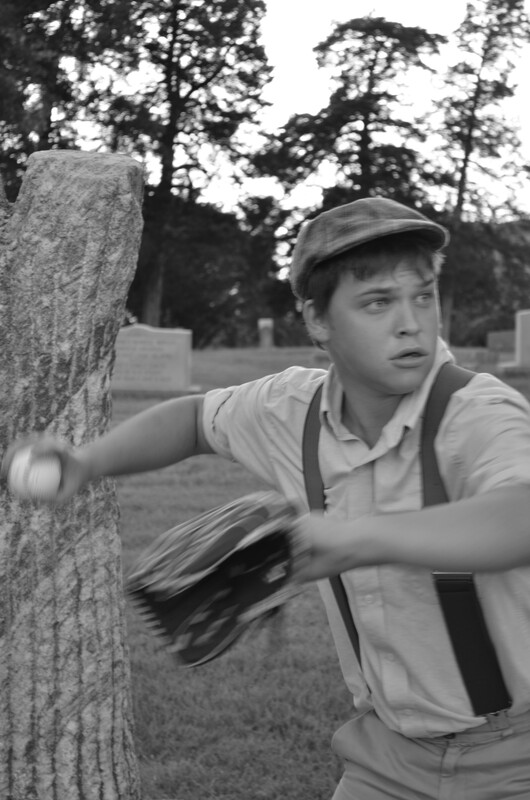 In their spare time, they can often be found searching some remote cemetery for a long-forgotten ballplayer or anyone else they find interesting.